today the LSI MegaRAID SAS 9240-8i card finally completed building the RAID5 set over five 1TB Samsung SSDs. It only took about 18 hours. So time to do some benchmarking! 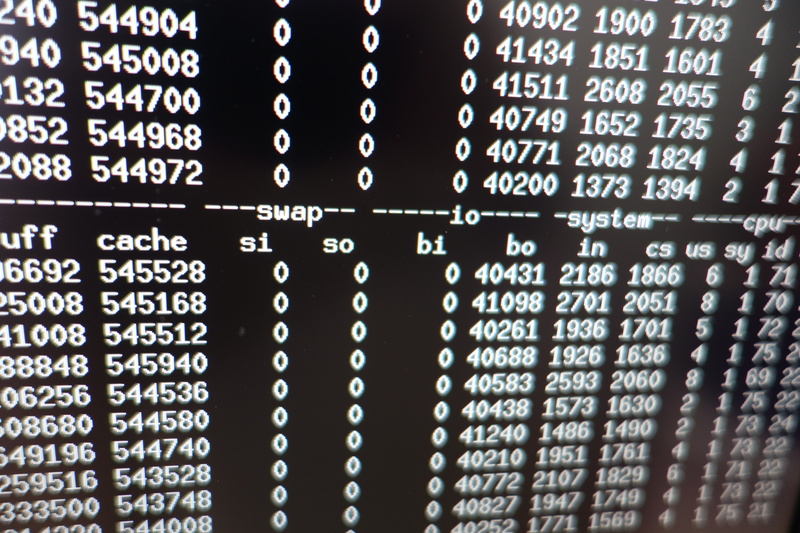 I created an ext4 file system on the volume and wrote /dev/zero to it. Err… 40 MB/s? 40MB/s!??! These are SATA3 6Gbps disks that should have native write speeds of over 400MB/s. And writing RAID5 to them should be even faster. 40 MB/s is impossibly pathetic. And the reading speed was about the same. If I hadn’t seen it myself, I wouldn’t have believed it. Dear Diary, I finally did what I should have done in the first place: I binged the card. And I found oodles of people complaining about how slow it is. This is apparently LSI’s bottom-rung RAID card. 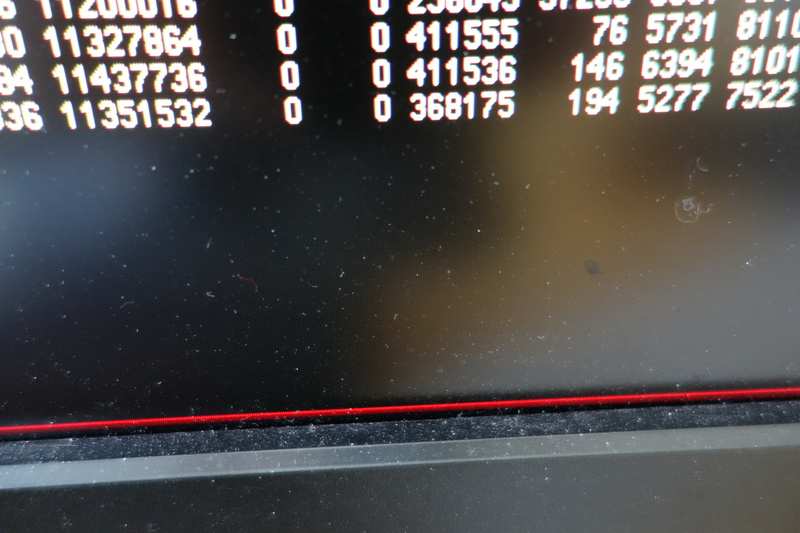 One person speculates that it does the RAID5 XOR calculations on the host side instead of having it implemented on the RAID card. That doesn’t really account for how incredibly slow it is, though. I think LSI just put a lot of sleep() calls into the firmware so that they could have a “lower-end” card that wouldn’t compete with the cards they charge a lot more money for. 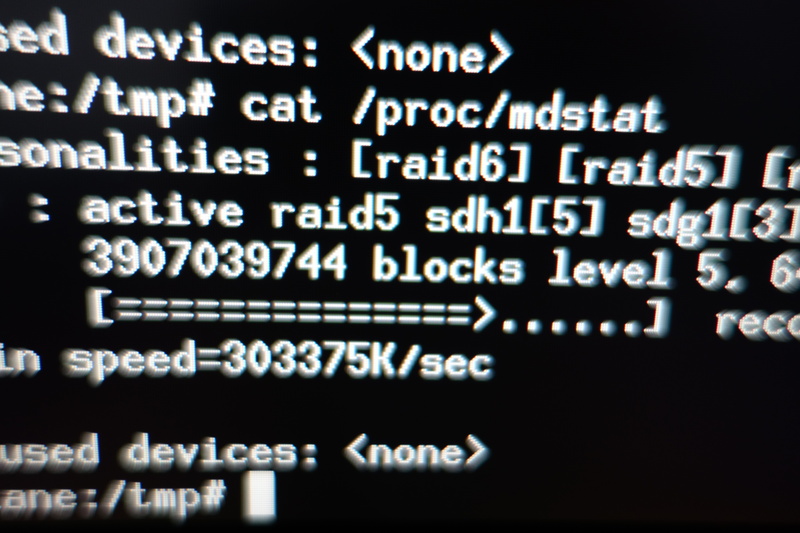 Then I created a soft RAID5 over the disks. How long would it take to build it? Turns out there’s a SPEED_LIMIT_MAX that needs to be tweaked. With that in place, I get 300 MB/s while building the RAID. 51 minutes. And it sustains until it’s done, which it has while I was typing this. Making the file system was really fast. It peaked at 1GB/s. 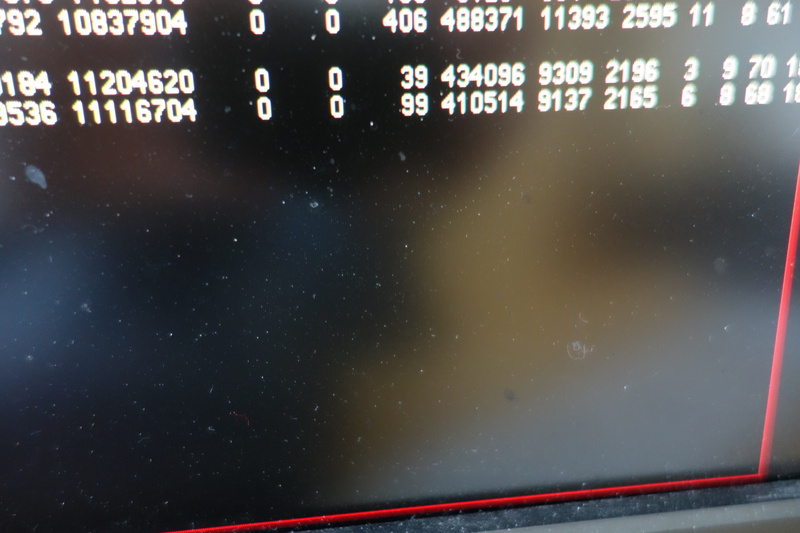 Writing a huge sequential file to the ext4 file system gives me around 180 MB/s. Which isn’t fantastic, but it’s acceptable. 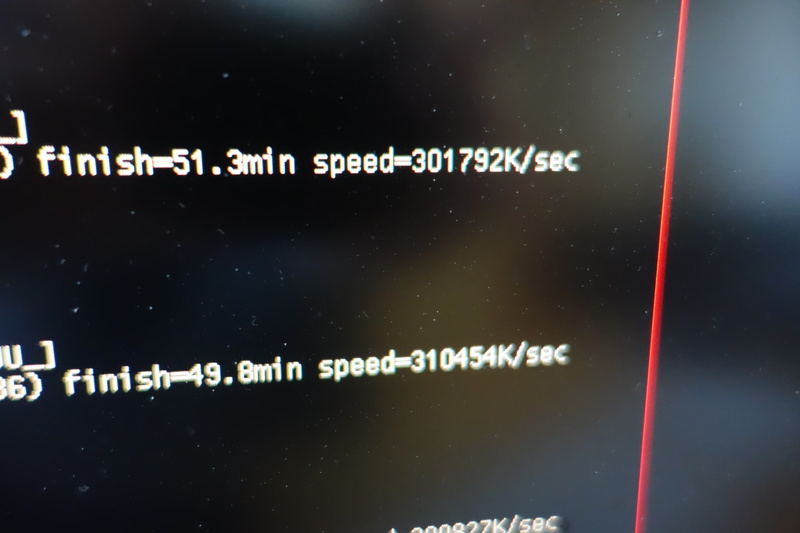 Reading the same sequential file gives me 1.4 GB/s! That’s pretty impressive. 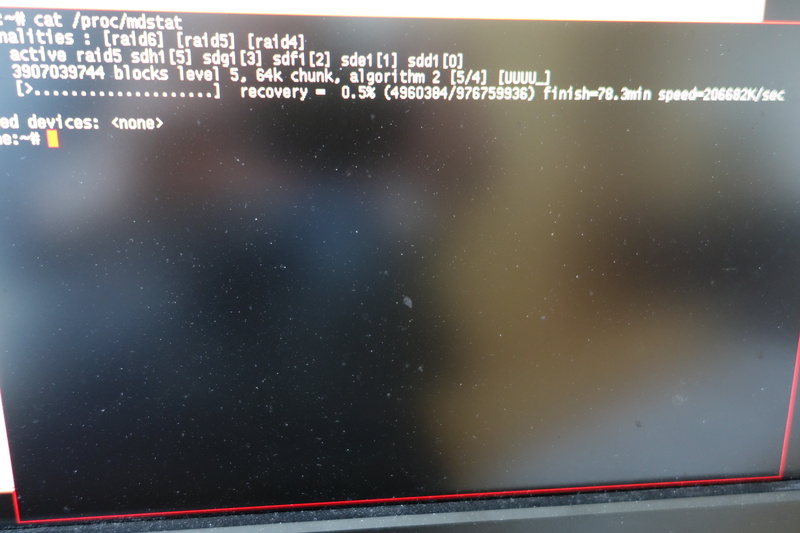 It’s incredible that the LSI MegaRAID SAS 9240-8i is 6x-25x slower than Linux soft RAID. Even if the card offloads the XOR-ing to the host CPU, it still doesn’t explain how its algorithms are that much slower than md’s algorithms. Anyway: Avoid this card like the plague. It’s unusable as a RAID card if you need reasonable performance. 40 MB/s is not reasonable. 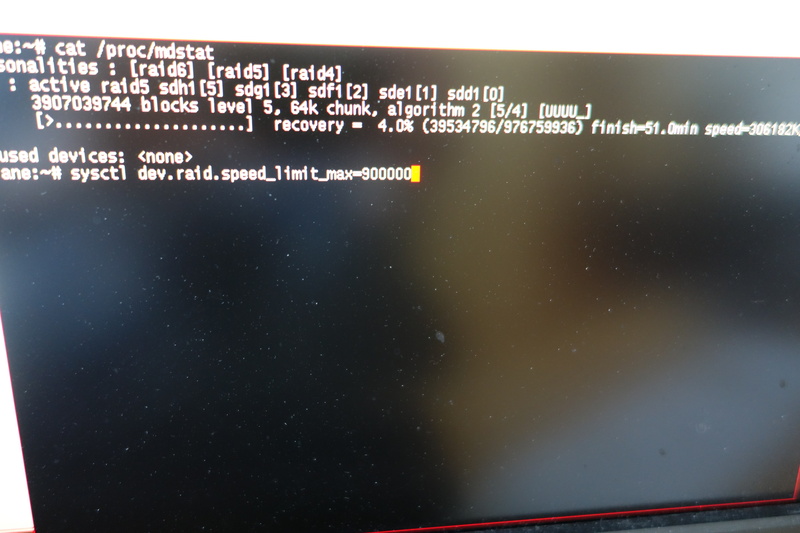 Raid controller probably disables write cache of ssd disks, which is really bad for ssd performance. Or at least used to be.